﻿ How to Impact of H-1B Visa for Indiana’s? Even before Donald Trump won the controversial U.S. election in 2016, H-1B visa was a popular topic of debate. But, his victory has added a new dimension to the debate because things that were previously only talked about are now becoming a reality. As scary as it sounds for some professional working in the U.S. or wanting to migrate to U.S., the H-1B visa curbs, I believe is the U.S.’s attempt to safeguard the interest of its citizens. Leaving this topic for debate, this blog will focus on the proposed curbs and how these will affect Indians. Visa Fees: There are news that the H-1B visa fees have been sharply hiked. While there are contradictions on the hike in the visa fees, the legal mandate requires that this amount needs to be paid by the employers and not the employees. Additionally, the employer is not allowed to enter into any legal contract with the employee seeking reimbursement for this fees or deducting this amount from the employees’ salary. So, as far as the hike in visa fees is concerned, employees who are currently in the U.S. or prospective candidates who have ready job offers are not required to worry because this cost will be borne by your employer. Annual Package: The bill proposes that H-1B visa should be given to professionals whose annual package is or exceed $100,000. This might be good news for companies offering specialized Software outsourcing services because the limitation might push companies to outsource work. This might also mean trouble for some Indian IT professionals because most of the professionals go to the U.S. at a far less salary package and therefore they will not be eligible for the H-1B visa if the proposed bill is passed. Education: The bill proposes exclusion of Master’s degree requirement. This proposition is aimed at eliminating the need for additional paperwork and also to get rid of the dubious efforts where applicants acquire degrees only for exemption without any value. This can be good news for some and bad for some. While most of the Indian aspirants who apply for H-1B visa have a Master’s degree, there are many who do not possess. The elimination of this requirement would increase the number of applicants and might make the process and competition tougher. While reading the above pointers, a thought that would cross your mind would be why so much fuss about the H-1B visa. 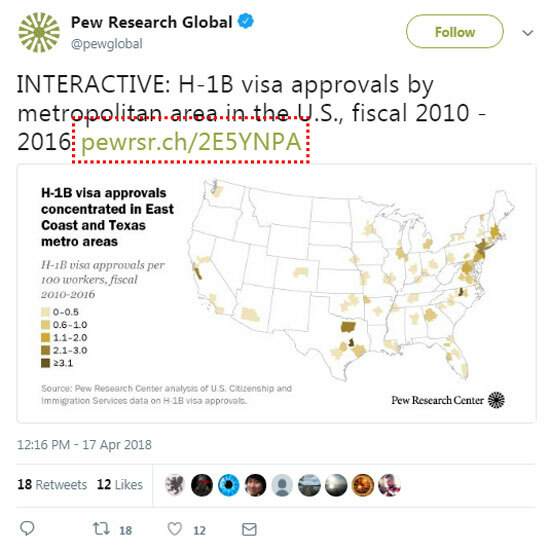 There are other visa options, but the most attractive aspect of H-1B is that it allows the visa holder to apply for green card while working in the U.S. whereas other immigration visas require the applicant to maintain residency in the native place. Another point here is that there is a limit to the number of H-1B visas issued every year. And, at present, the limit is 85,000. With lakhs of aspirants from around the world, the reasons for rejection can be very minor issues.